A magical story of forbidden love, spanning three continents and three decades. 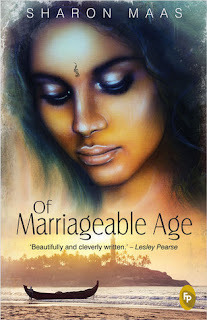 Set against the Independence struggles of two British colonies, Of Marriageable Age is ultimately a story of personal triumph against a brutal fate, brought to life by a colorful cast of characters . . . Savitri, intuitive and charismatic, grows up among the servants of a pre-war English household in the Raj. But the traditional customs of her Brahmin family clash against English upper-class prejudice, threatening her love for the privileged son of the house. Nataraj, raised as the son of an idealistic doctor in rural South India, finds life in London heady, with girls and grass easily available… until he is summoned back home to face raw reality. Saroj, her fire hidden by outward reserve, comes of age in Guyana, South America. When her too-strict, orthodox Hindu father proves to have feet of clay she finally rebels against him... and even against her gentle, apparently docile Ma. But Ma harbours a deep secret… one that binds these three so disparate lives and hurtles them towards a truth that could destroy their world. 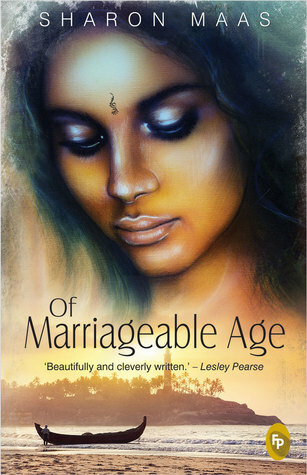 Her first novel, Of Marriageable Age, was published in 1999 by Harper Collins, and is set in India, Guyana and England. Two further novels, Peacocks Dancing and The Speech of Angels, followed. The first thing one notices about this book is its cover and my immediate reaction is this cover does no justice to the beauty this book is all about. The book is thicker than the usual novels these days but the blurb itself is enticing enough for one to feel like reading it and know what's the whole story about. The story is beautiful with such vivid descriptions that it makes you travel along from one continent to another with the characters. I enjoyed the beauty of the language the most, it is so enticing that it was simply thrilling to keep reading it. I enjoy such novels a lot, light on language, heavy on plot and emotions making it a perfectly enjoyable read on every page. From the pre-independence to the post independence era the detailing is very well described which speaks volumes about the author's research behind this book. To be honest by the 95th page I knew what the book was leading too but the curiosity to know whether I was right or wrong was something that kept me going. The very narration which was gripping till 380 pages suddenly nose dived as it seemed to be dragging on post that just to keep the suspense intact. It was almost 3 a.m. when I finally left some 20 pages as I could no longer stay awake after that and yet I was not able to stop myself from thinking as to what would have happened and for that I give full marks to the author for keeping that intact till the last page. I simply enjoyed reading the book and couldn't wait to devour it the next day. The book is worth it and much more, this is pure literary pleasure to read something so magical. It is just when I was writing this review that I noticed about the previous edition about the book and somehow it all falls into place, a lot of things get automatically answered about the story now. Strongly recommended to people who enjoy reading drama which is set in such period and is so well written!